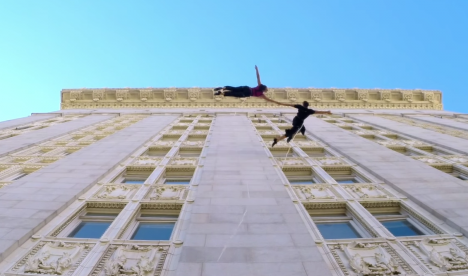 The first-person perspective seen on this video of two dancers vaulting effortlessly off the side of Oakland’s City Hall building might make you a little dizzy. 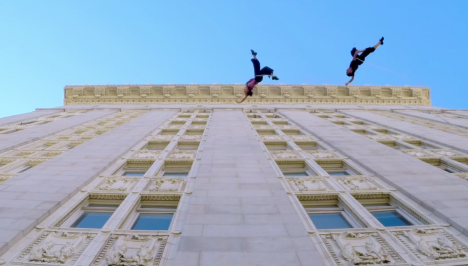 Secured to the 18-story structure’s roof with safety lines, the duo run, flip and seemingly fly, captured from various angles that can be a tad disorienting. 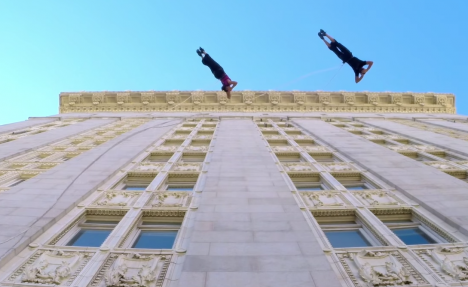 The pair are members of the Bandaloop vertical choreography dance company, which staged the performance for the Art + Soul Festival in Oakland, California. 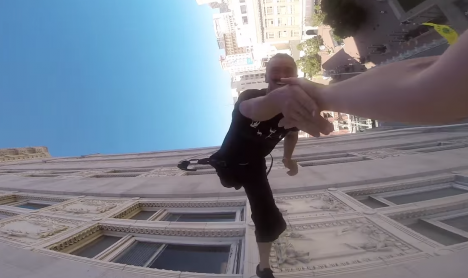 GoPro cameras capture the action in all its elegance. 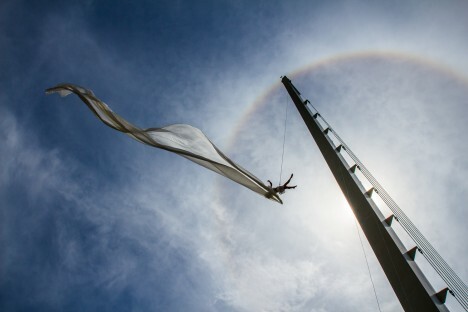 The images and the videos of the performances are breathtaking, particularly those of dancers rappelling off the 217-foot Santiago Calatrava ‘Sundial Bridge’ in Redding, seen above. 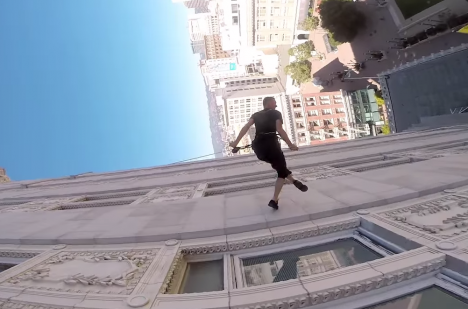 Check them all out at the Bandaloop website.